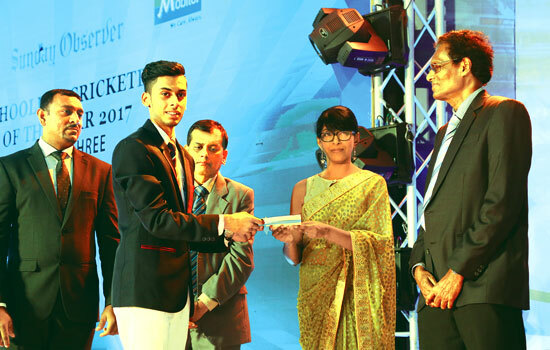 Viswa Chaturanga of Prince of Wales College, Moratuwa receiving the Best Batsman National Award from ANCL Director Dushyanta Basnayake. 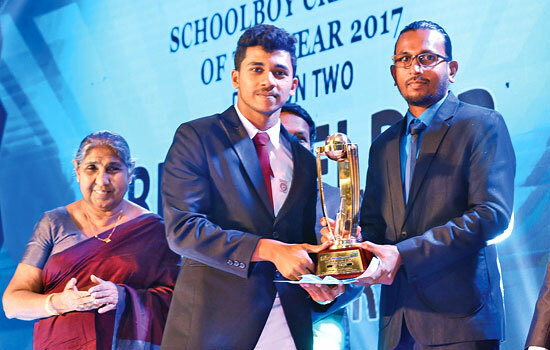 National Award Best Fielder Ashen Bandara of St.Aloysius College, Galle receiving his award from DGM Finance ANCL Virajith Bois. 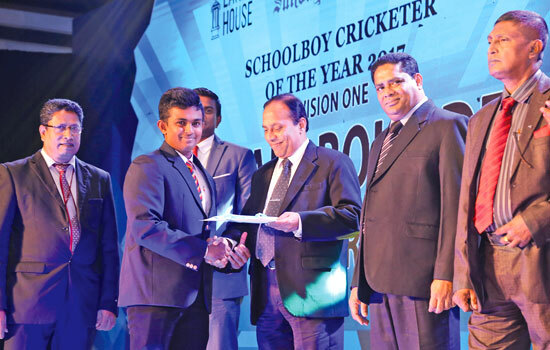 Best School Team National Award - Thurstan College receiving the award from the President of SLSCA Oshara Panditharatne. 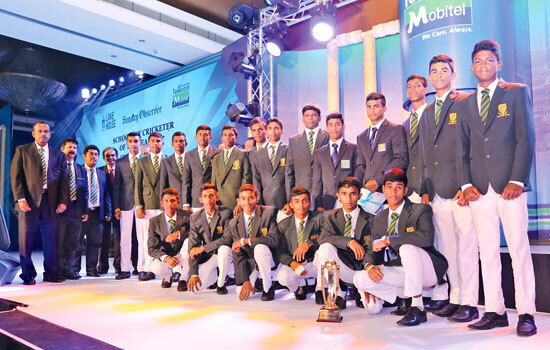 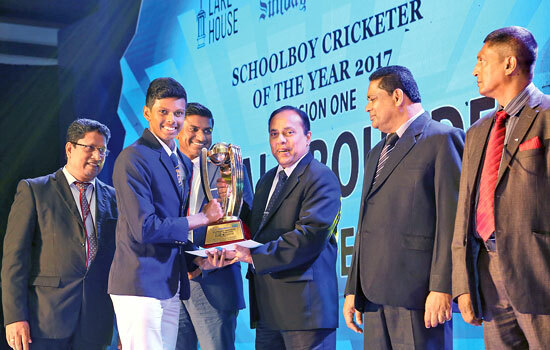 Best School Team National Award Runner up St. Peter’s College, Colombo receiving the trophy from Oshara Panditharatne President SLSCA. 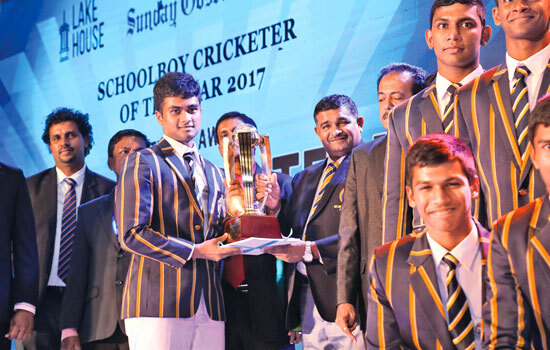 Santhush Gunatileka of St.Peter’s College receiving the Most Popular Schoolboy Cricketer Award Division one by General Manager of ANCL Abhaya Amaradasa. 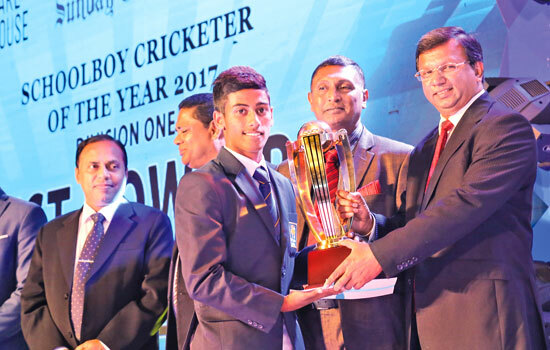 Sanjula Abeywickrema of Thurstan College receiving the Most popular Schoolboy Cricketer of the Year Runner Up award from General Manager of ANCL Abhaya Amaradasa. 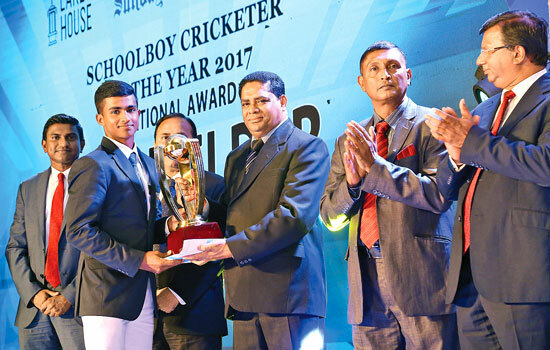 Piyumal Sinhawansa (St.Anne’s college, Kurunegala) receiving the Most Popular Schoolboy Cricketer of the Year Div 2 award from ANCL Company Secretary Kumudu Gunawardene. 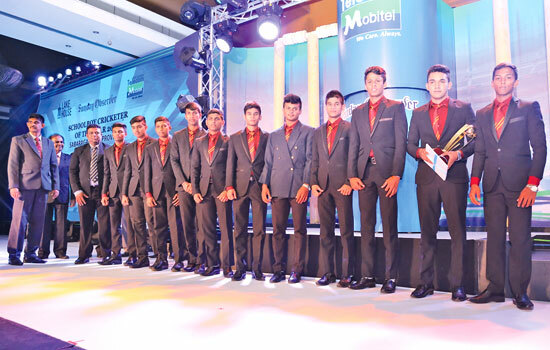 Best Behaved Team. 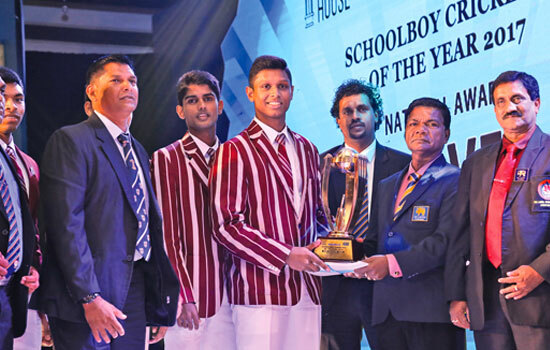 Nalanda College, Colombo receiving the award from Mr. Sarathchandra, Principal St. John’s College, Panadura. 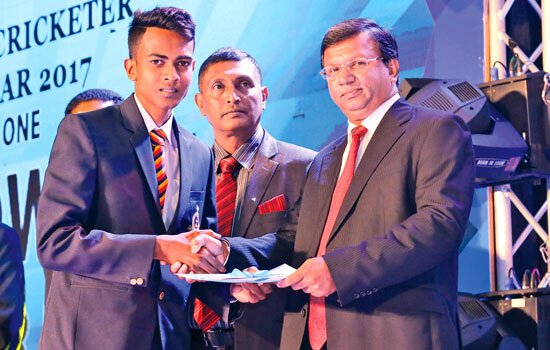 Best batsman Division 1, Pathum Nissanka of Isipathana College receiving the award from Senior General Manager Marketing SLT Mobitel Isuru Dissanayake. 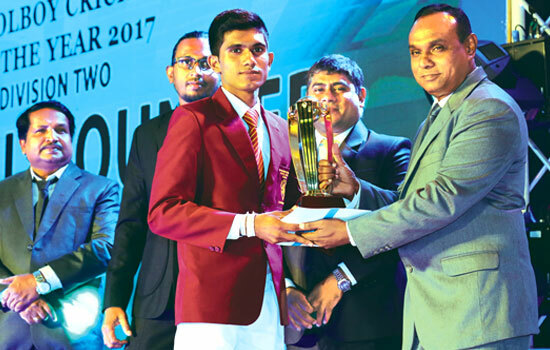 Best Bowler Division 1 Hareen Buddika Weerasinghe of St. Aloysius College, Galle, receiving the award from Deputy General Manager Human Capital ANCL, Narada Sumanaratne, DGM Admin. 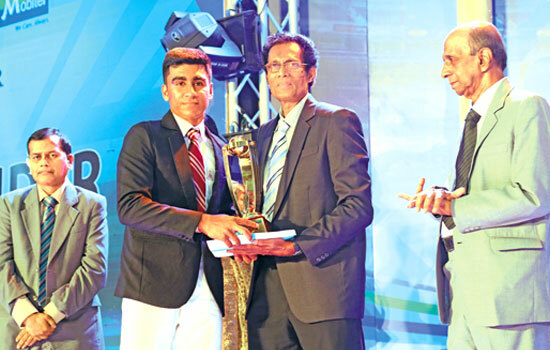 Subash Karunaratne looks on. 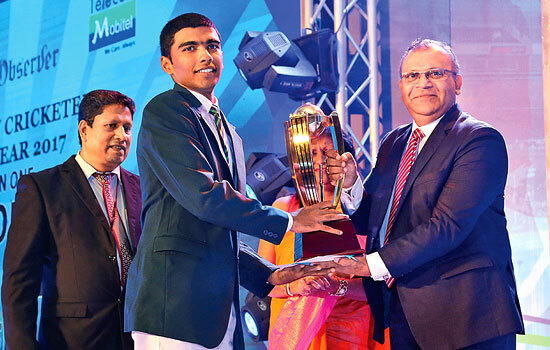 Naveen Gunawardene of Thurstan College, Colombo receiving his Division one Best Bowlers Runner - up award from Narada Sumanaratne, DGM Human Capital ANCL. 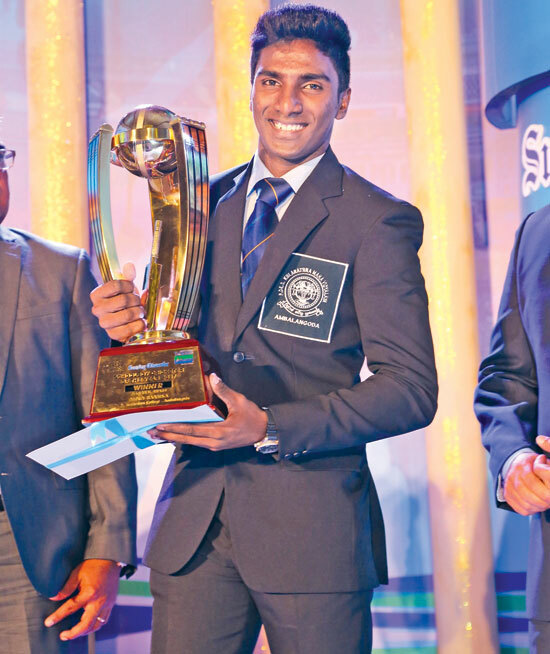 Division 1 Best Allrounder. 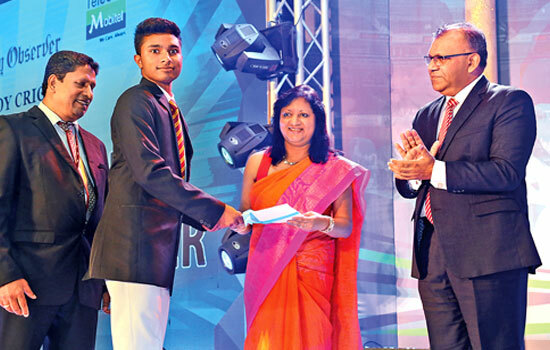 Nipun Dananjaya Perera Joseph Vaz College, Wennappuwa receiving his award from DGM Advertising/ ANCL, Waruna Mallawarachchi. 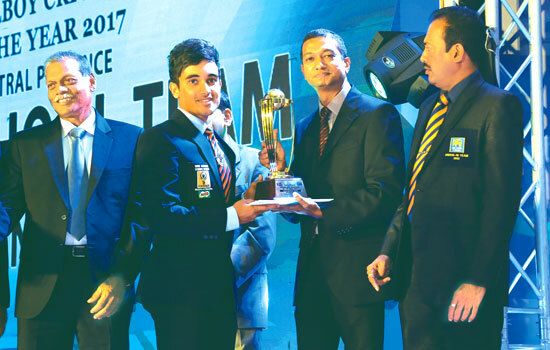 Best All rounder - Runner-Up Division 1. 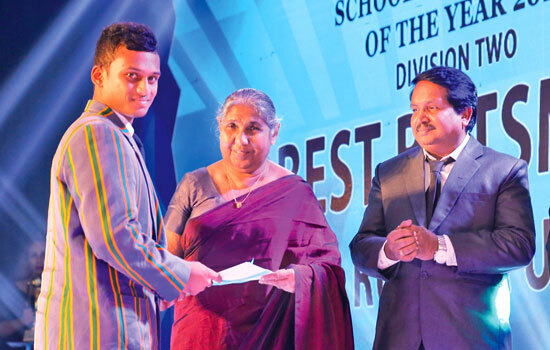 Charana Nanayakkara of Thurstan College, receiving his certificate from DGM Advertising Waruna Mallawarachchi. 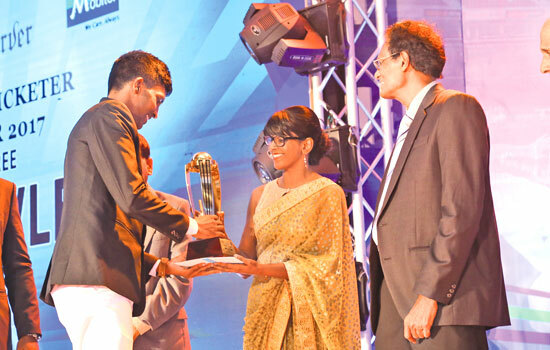 Best batsman Runner-UP Division 2 S.Wanninayake of St.Anne’s College, Kurunegala receiving the certificate from the Editor-in-Chief/Sinhala Publications and Chief Editor of Dinamina, Pushpa Rowel. 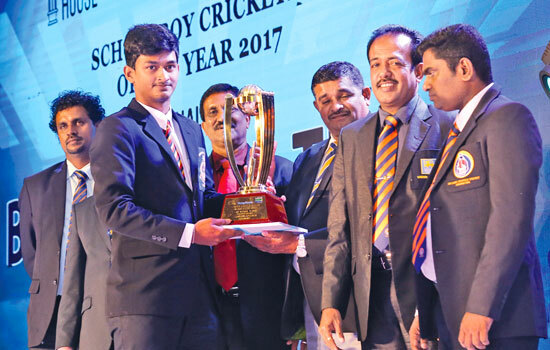 On left is Chief Editor of Thinakaran, Kanapathipillai Kunarasa. 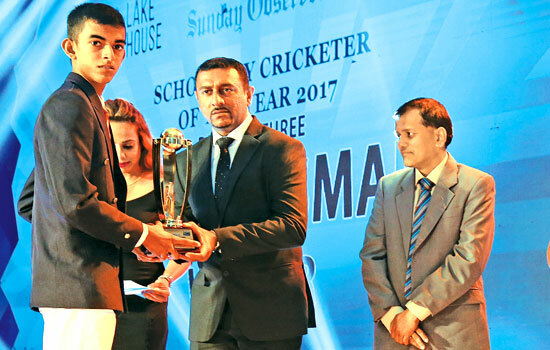 Division 2 Best All-Rounder. 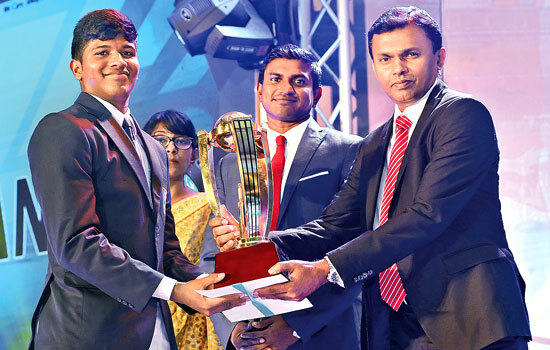 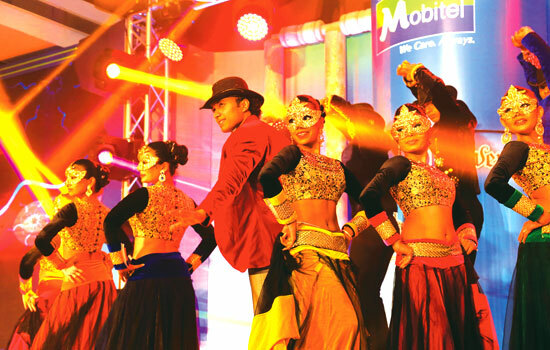 Damith Sampath of Siri Piyaratana, Padukka receives the award from Senior Advertising Manager ANCL Sanath Preethijith. 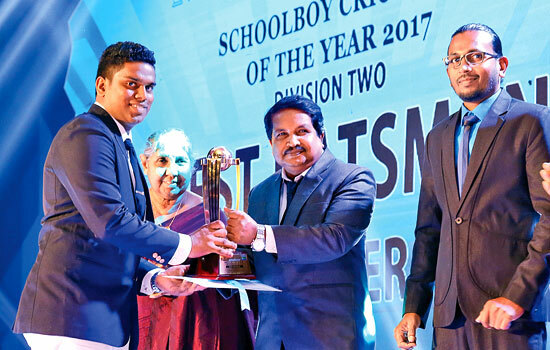 Division 2 Best Bowler Dimith Sampath of Siri Piyarathana MV, Padukka receiving the award from Senior Manager Channel Communication/SLT Mobitel Jude de Silva. 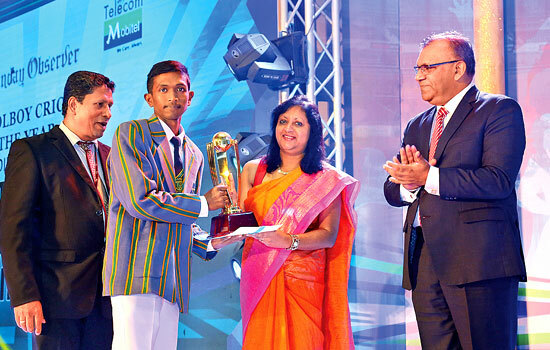 Receiving the award from CEO/Director of Batsman.lk, Kumara Gamhewa. 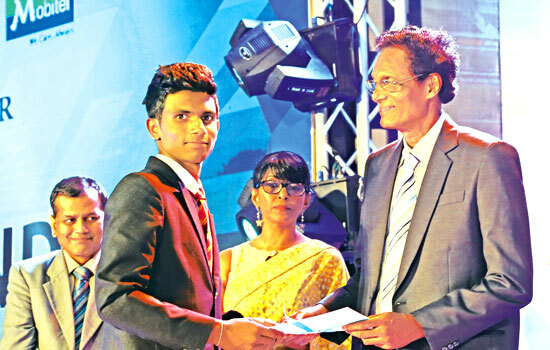 Division 3 Best Bowler Runner-Up Supun Ayeshan Perera of Loyala College, Negombo receiving the certificate and a cash award from Sunday Observer Editor Chandani Jayatilleke. 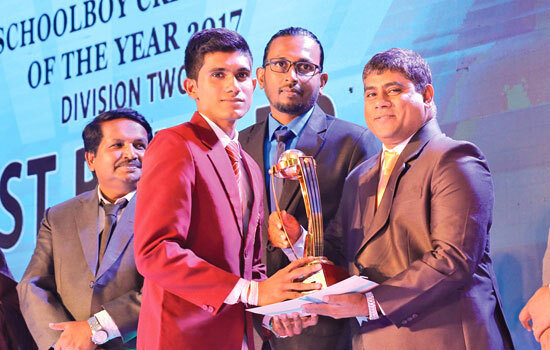 Best Fielder Division 3 Dhananjaya Fernando of Christ the King College, Tudella receiving the award Consultant Editor Sunday Observer, Pramod de Silva. 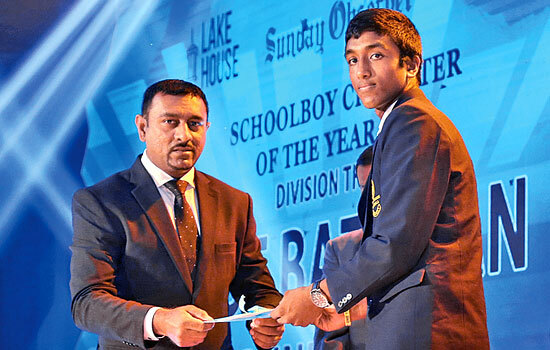 Division three Best Fielder Runner-Up Sandaken Jayaweera of Dudley Senanayake Vidyalaya ,Tholangamuwa receiving his certificate from Pramod de Silva, Consultant Editor/Sunday Observer. 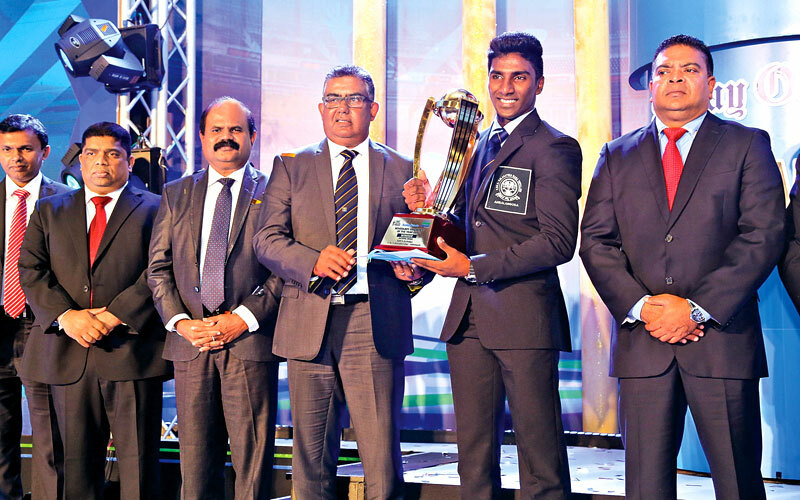 Charitha Basnayake (Bandarawela Central) receiving his award from Company Secretary of ANCL Kumudu Gunawardene. 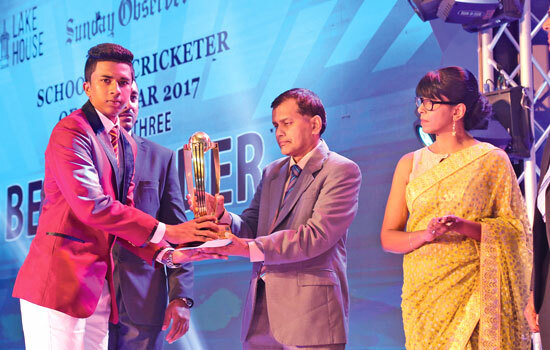 Best Batsman Runner Up division 3. 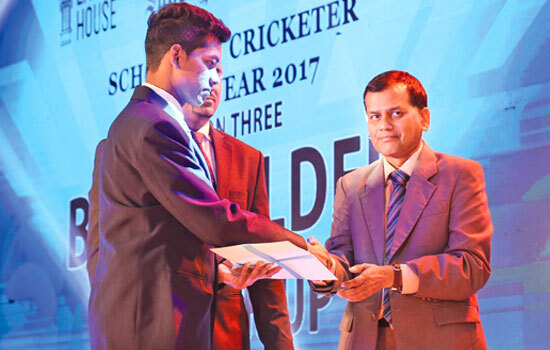 Chamod Sandaru of Piliyandala MV receiving the certificate from Manager Market Activation of SLT Mobitel Asela de Vas Gunasekera. 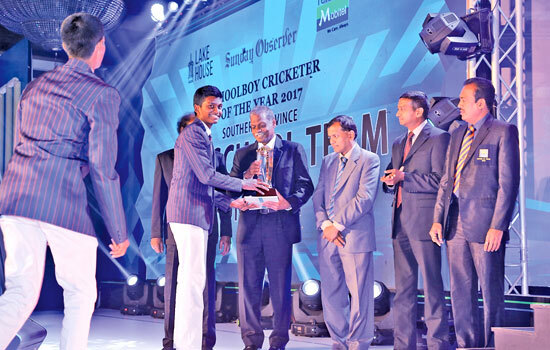 Best All-rounder Runner-Up Division 3, Heshan Ratnayake of Bandarawela Central receiving the certificate from Saadi Thawfeeq Sports Editor of Daily News. 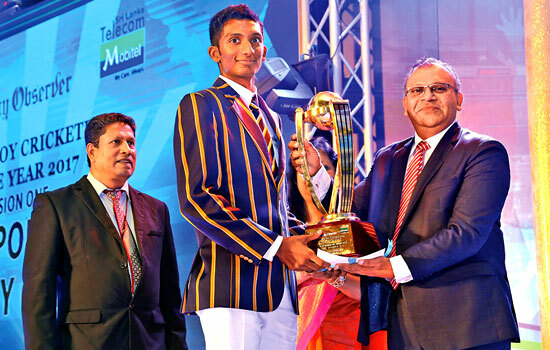 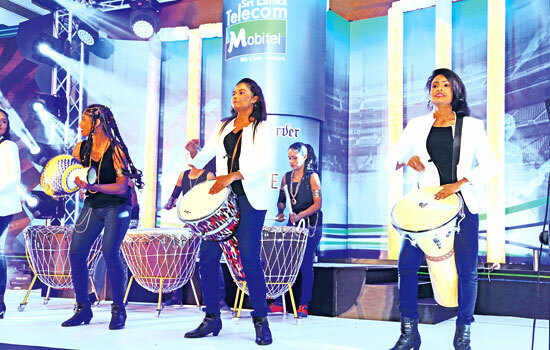 Division three Best Batsman, Kalhara Shaminda of Kirindiwela MV receiving the award from Manager, Market Activation of SLT Mobitel Asela de Vaas Gunasekera. 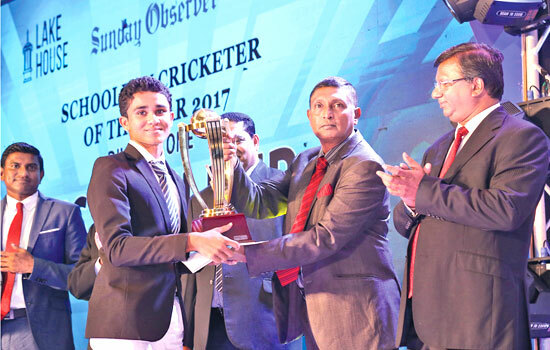 Mithila Poornajith of St. John’s College, Nugegoda receiving his division three Best Bowler’s award from Sunday Observer Editor Chandani Jayatileka. 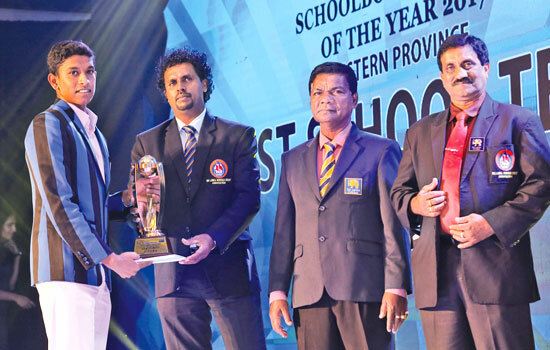 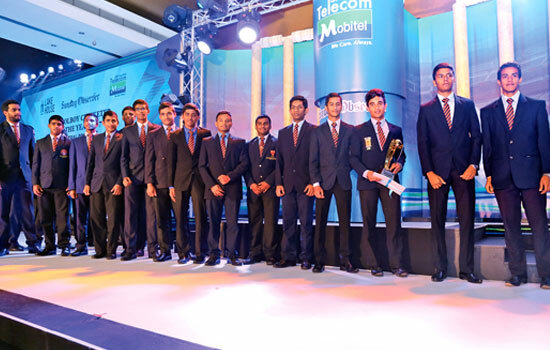 The captain of S.Thomas’ College, Mount Lavinia receives the runner-up award for the Best team Western Province from Chairman Selection Committee SLSCA Dilshan de Silva. 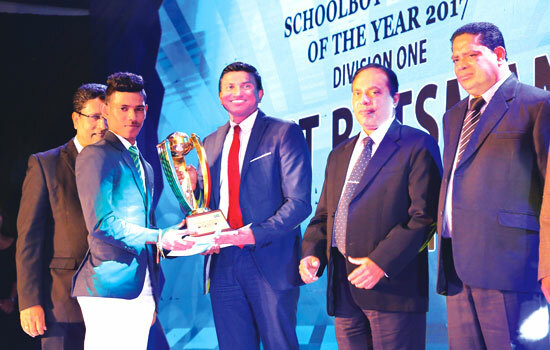 Sarathchandra de Silva principal Kalutara Vidyalaya and Sec. 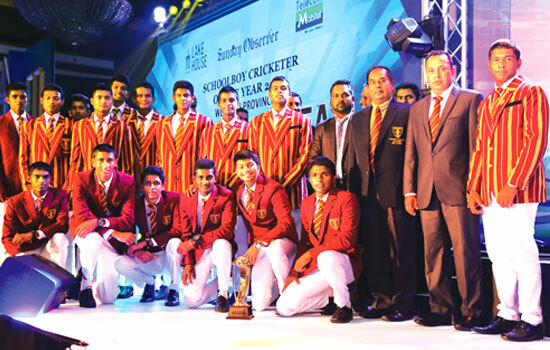 SLSCA Kapila Jayalath are also in the picture.